Claire Jones meets apprentice coppicer Fiona de Wert in the ancient Silk Wood at Westonbirt Arboretum, Gloucestershire. 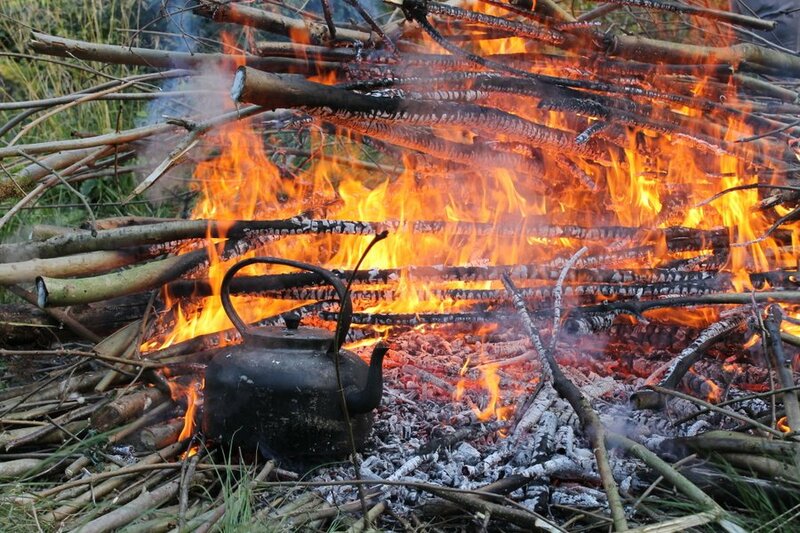 For thousands of years coppicing has been carried out in our native woodlands, with wood being harvested to make trackways in Neolithic times, boats in Tudor times and for charcoal production in the 18th and 19th centuries. 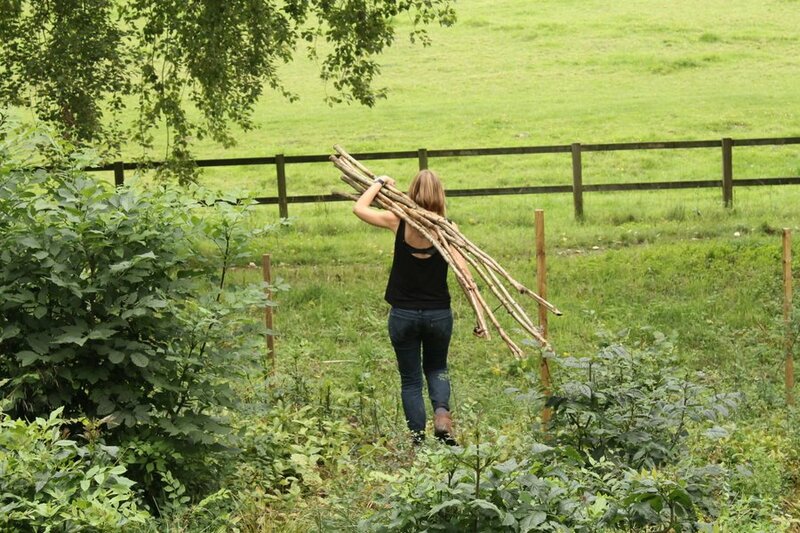 Over the past hundred years coppicing has declined despite demand for good quality wood for hurdles, thatching spars, fencing, baskets and brooms. However it has recently gained in popularity, as I discovered when I took a visit to Westonbirt Arboretum in Gloucestershire where apprentice coppicer Fiona de Wert (above) is learning the craft on a 3-year apprenticeship under the experienced guidance of coppicer and woodworker Brian Williamson. As she showed me the area of hazel they are currently renovating, Fiona explained a little about the process. 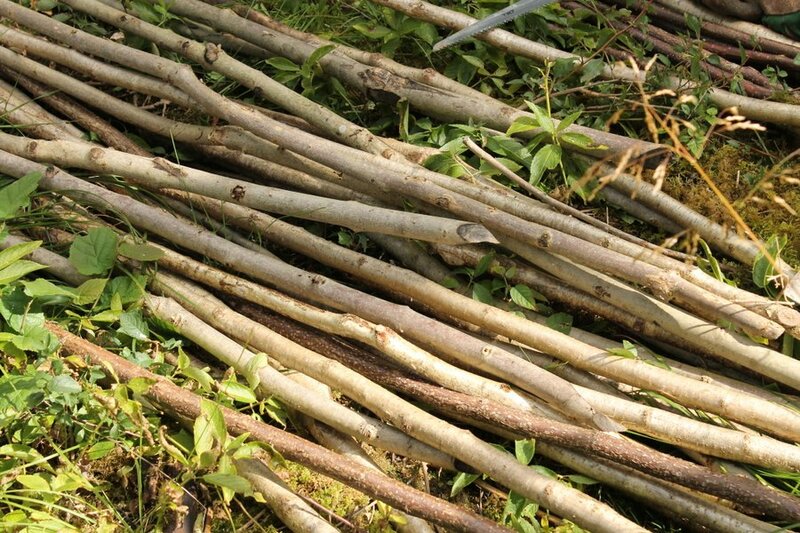 Coppicing involves cutting a tree down to its base, or stool, after which it will grow a number of rods rather than one thick trunk. Any broadleaved tree can be cut in this way, but the strongest are ash, hazel, oak, sweet chestnut and lime. 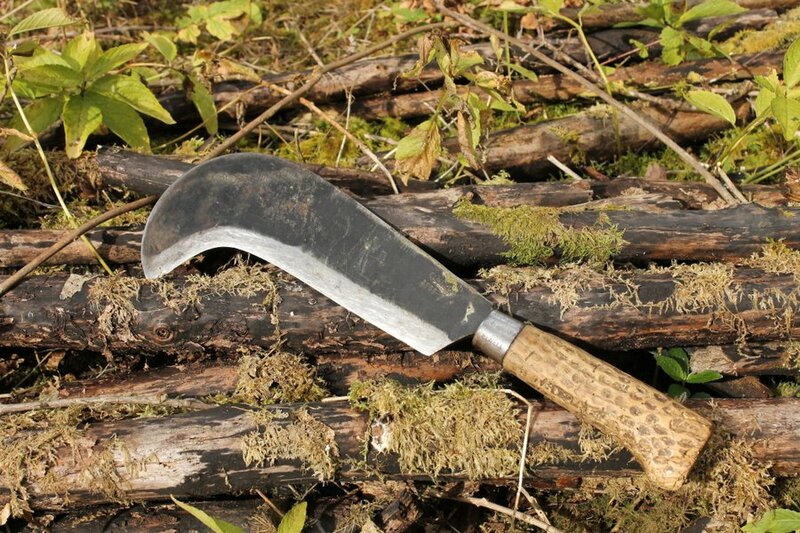 The time between harvesting of coppiced wood varies, depending on the type of tree and the thickness required. Slim hazel poles will be ready to cut again after 7 years whereas sycamore and sweet chestnut might be left for 20 years and oak or hornbeam for 50 years. The spacing of coppice stools is of vital importance. A thick density of trees means that each shoot has to compete for the light, producing good quality straight poles in a short time. Some of the stools at Westonbirt’s Silk Wood are ancient, with evidence of coppicing being carried out there in the late 1200s, and a lime deep in the wood believed to be 2000 years old. For a tree to reach this age it must be coppiced; a standard tree with a single trunk would only survive for a fraction of this time. In more recent years the coppicing has been neglected in Silk Wood, which is where Brian and Fiona come in. They are in the process of renovating the coppice and starting to bring the woodland back to its former glory and usefulness. 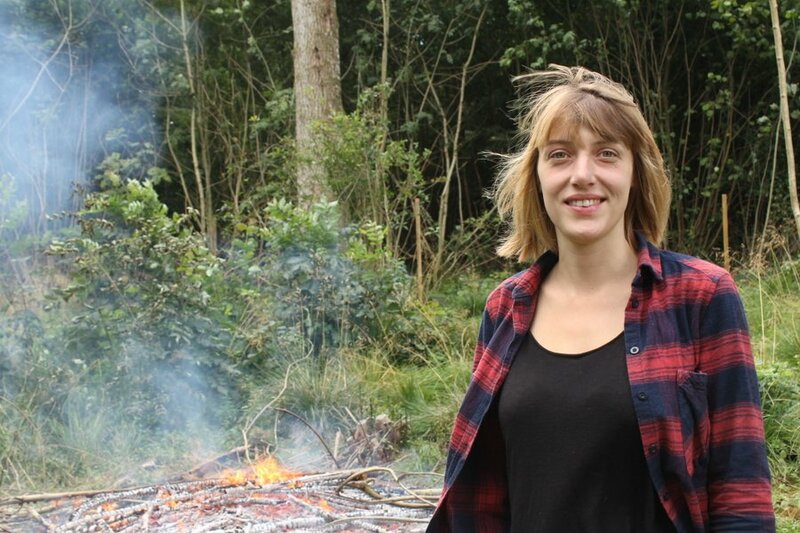 Fiona explained, “The management of the understorey is really important within such a dense woodland, especially in an area which has been coppiced already. If you leave it derelict, if you stop coppicing an area, the hazel gets bigger and bigger and shades out everything underneath. It becomes a barren, dark area where nothing can grow. In addition to managing the understorey, the canopy of large standard trees is also being thinned out. The area is quite densely planted with oak, so gradually selected trees are being removed to allow in light into the coppice. Nothing is wasted when a large tree is felled, with the branch wood going for fuel or charcoal, or if it is of good quality and straight it is cleaved into oak paling fencing, shingles for roofing and timber framing pegs. The trunks are sold on whole to a timber mill. In quieter seasons, Fiona a Brian turn their hands to charcoal making. It is an art, requiring the slow baking of timber to remove all moisture. Seasoned wood is carefully arranged like the spokes of a wheel in a layer at the bottom of a large kiln, to allow air in to fuel the fire. Then more wood is arranged on top in spiral stacks leaving a hole down the centre for tinder. When the fire has been lit the aim is for the wood to burn evenly. Once combustion is under way the air holes are mostly blocked up leaving the fierce heat to dry out the wood. Small channels are left for the fumes to escape, and for up to 24 hours the kiln must be watched to make sure uncontrolled combustion doesn’t occur. When the escaping smoke changes from grey to blue, the burn is complete. The kiln is then completely sealed and left for another 24 hours to cool down. The resulting charcoal is a clean and sustainable product of almost pure carbon, unlike much imported charcoal which is often stripped from ecologically fragile rainforests, then pulverised, repeatedly baked and impregnated with starter fuel. As well as working in the woods, Fiona also spends time at a barn in nearby Tetbury where she makes products from the coppiced wood. It’s a sociable set-up, with several other woodworkers using the same space to create products such as oak fencing, hurdles and timber framing. In addition, and using only hand tools, she makes small items for the home that are either carved or turned from green wood. Using a traditional foot powered pole lathe wood can be transformed into anything from chair legs to bowls, plates, rounders bats and rolling pins. As I left the wood I felt optimistic that coppicing will continue to increase across the country. It is a valuable art, increasing biodiversity and producing things of usefulness and beauty. The countryside will without doubt be richer for this sustainable woodland management.